Martin D. Slade, Lecturer, Director of Research, Yale Occupational & Environmental Medicine and Dr. Rafael Y. Lefkowitz, MD MPH, Clinical Instructor, Yale Occupational and Environmental Medicine. 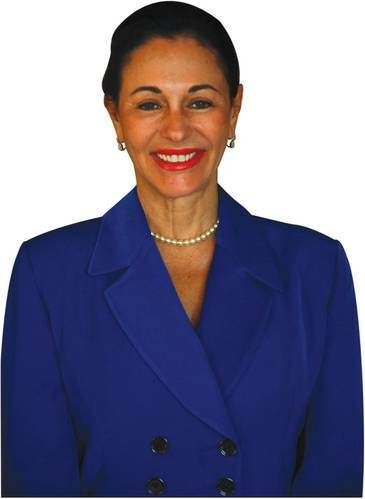 Christina DeSimone, CEO of Future Care, Inc. Managed medical care specialist Future Care is changing the way the maritime industry looks at mariner healthcare. The Maritime Labour Convention 2006 (MLC) has forever changed the way vessel operators look at healthcare for the world’s 1.3 million mariners. For some, it means simple compliance with a minimum set of standards and managing the costs associated with that standard. For others, MLC is a call to arms for those who work to make sure that healthcare at sea means more than just emergency telemedicine services. For Christina DeSimone, CEO of Future Care, Inc., managed healthcare means competent telemedicine for seafarers who suffer injuries or become ill hundreds of miles out to sea. It can also means following up on every case that they are call on to handle; managing cost, assignment of the right physician and ensuring that a seafarer gets the right treatment at the right facility. That attention continues through physical rehabilitation and the ultimate goal of returning the mariner to work as quickly as is possible. More than that, however, Future Care’s managed healthcare solution means establishing a baseline history for every seafarer on the planet – before they ever step onto a vessel. In May of last year, an ambitious effort to bring seafarer healthcare to a new, higher standard kicked off when the Yale University School of Medicine, in conjunction with managed healthcare solution provider Future Care, Inc., released a study entitled Preliminary Evaluation of Seafarers Health Care and Determination of Predictors of Illness. For perhaps the very first time, the effort to provide proactive as opposed to reactive healthcare to mariners was underway. Until now, very little research had been conducted on the health and general welfare of the world’s 1.3 million seafarers who collectively spend their time traveling, living and working on vessels far away from their home countries. Future Care’s CEO, Christina DeSimone, determined that there was an immediate need for an analysis of the incidence of illness and injury among this singular group, with particular emphasis on their special risk factors. The ultimate goal is to draw conclusions that will assist in the development of improved programs for the prevention of illness and injury on board and the efficient treatment of seafarers’ medical issues when these do occur. According to Future Care’s DeSimone, the shipowners themselves have to participate and share data. Manning agents will be important, as well. Recently, Future Care and Yale were fortunate to obtain additional medical statistics covering 10,000 Filipino seafarers to add to the data. Once collated and analyzed, newly secured conclusions will be released to industry. As many as 25,000 crewmembers are under the Future Care umbrella at this time, with quality operators such as Teekay (120 vessels), Genco and General Maritime among their clients. As MLC talks about enhanced healthcare solutions, other shipowners are being encouraged to provide a medical first response plan. DeSimone wouldn’t estimate how much the new rules could impact the business, except to say that it would probably increase as more owners look for ways to ramp up care for crewmembers and demonstrate compliance with the law. As good as the Future Care service might be, and discounting all the benefits it can bring to the mariners themselves, it still has to be sold to the shipowners, who look to the bottom line in everything that they do. Martin Slade underscored that point by saying, “We look at the economics, as well. It’s clear to us that a healthier workforce is economically beneficial, but we want to be able to quantify that. If we can do that, we’ll have more people buying in. We’re starting to get data on who’s getting on board, and very soon, we hope to have defining analytics on rates, as opposed to just who is injured.” No doubt, when that happens, the bottom line will be therefore happier for everyone.